Automobili Pininfarina (www.automobili-pininfarina.com) revealed further images of the PF0 hyper-car prototype when it announced an investment of more than 20 million euros in a new co-operation with Pininfarina SpA. This will underpin the design, development and production of the PF0 luxury electric hyper-car and the future range of Automobili Pininfarina cars. 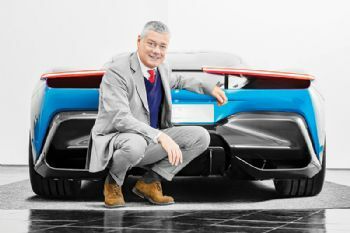 Michael Perschke, CEO of Automobili Pininfarina, said: “It is a pleasure and a privilege to partner with Pininfarina SpA, the world’s greatest car design house. This agreement marks the beginning of exciting chapters in our very different histories. “For Automobili Pininfarina, it will form the cornerstone of our ambition to become the world’s most admired luxury electric-vehicle company. Silvio Pietro Angori, CEO of Pininfarina SpA, said: “We are very pleased to add Automobili Pininfarina to the list of prestigious car makers for which Pininfarina SpA will be designing cars in the future.